Throughout her career, Amy Johnston Little has given voice to those who often go unheard and unseen. "I have always had a passion for serving people and focusing on those who are marginalized," she explained. Growing up in rural Pennsylvania, Johnston Little's earliest mentors were her parents, both counselors. "I knew I wanted a career in the mental health or social work arena," she said of lessons learned at home. After earning a degree in social work from the University of Pittsburgh and becoming certified in addiction counseling, she began her career as a corrections counselor managing a pre-release population and working with probationers and parolees. She helped develop work and life skills, along with relapse prevention plans, to give individuals the best opportunity to reintegrate into society clean, sober and prepared. "After seven years, I decided to switch focus, driven by a desire to work closer with the elderly and those experiencing healthcare disparities," Johnston Little explained. 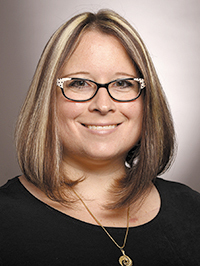 Moving into healthcare, she joined the University of Pittsburgh Medical Center (UPMC). "I focused on our Medicare and dual eligible population using my energy to address the socioeconomic barriers that prevented them from fully utilizing healthcare services and taking care of their physical well-being," she noted. Johnston Little credited Beth Ann Broudy, her direct manager at UPMC, with inspiring a desire to not only impact the plan's members but also her colleagues. "She challenged me to stretch my potential and go back to school to achieve my MBA," Johnston Little recalled. It's a decision she has never regretted. After working in corporate leadership roles for a number of years in Pennsylvania, Louisiana and Kentucky, Johnston Little was thrilled by the opportunity to join UnitedHealthcare Community Plan of Tennessee "to recapture the connection with the local community." She noted, "The ability to blend socioeconomic responsibility and target social deprivation while providing healthcare resources to those most in need of preventive medicine has been ... and continues to be ... an incredibly rewarding experience." She also relished the opportunity to use both her clinical and business background to address the unique challenges of serving dual-eligible special needs members. "By nature, the DSNP population tends to be more transient and often difficult to reach. As a result, we need to work as a team to ensure we continue to develop creative ways of getting the messages around preventive care and healthy lifestyles to the population," she explained. Collaborating across the state, Johnston Little said her team works with community providers and social service agencies to engage those most in need where they are in the local community. "One of the most rewarding partnerships I have been privileged to be a part of is with Healthy Tennessee and Second Harvest Food Bank." Bridging the gap between good nutrition and food insecurities, UnitedHealthcare funds more than 75 mobile food pantries annually. At a recent Knoxville event, UHC and ProHealth teamed up with Healthy Tennessee and Second Harvest to provide free health screenings to members, along with the uninsured and underinsured. UHC volunteers and medical personnel from Vanderbilt and Meharry working through Healthy Tennessee cared for more than 300 during the day and handed out approximately 18,000 pounds of food, including fresh fruits, vegetables and dairy. "These large-scale community events bring together the essence of social determinants and work at a basic level to address human needs, providing a platform to start the transition into a healthier life," she said. A passion for giving back runs in the family. Married to The Rev. Terence Johnston, an Anglican priest with the Church of the Redeemer, the couple is active within their parish and the community, including volunteering with Room at the Inn and animal rescue groups. Any spare time is spent outdoors with three rescue dogs roaming their 11-acre farm just 30 minutes from downtown. "Having grown up in the country, it is our little slice of heaven in Nashville," Johnston Little said with a big smile. "Every day is a gift," she concluded of her busy, full life. "And if I am fortunate enough to be given the opportunity, my hope is that I will get to be a part of continued healthcare innovation, offering affordable care to all persons."